Until recently if you were self employed qualifying for a mortgage was pretty straight forward. If you could demonstrate sufficient income to support the financing request you had your choice of lenders and the best rates available to you. If your income was tough to prove or your credit bruised, you still had options available with lenders that specialize in self employed lending. As of November 1st with the introduction of B20 as it is referred to by OFSI (Office of the Superintendent of Financial Institutions) the rules have dramatically changed. Under the new regulations Banks, Trust Companies, and Credit Unions are only allowed to finance up to 65% of the value of the home for applicants that are not qualified based on their income. Previously this figure was 75% and in some cases 80%. Additionally every exception that a financial institution now makes to these new regulations or their own internal lending guidelines has to be reported to OFSI. This virtually eliminates the desire for the banks to go “outside the box” on financing requests. Divide the financing request between two institutions. Several lenders are comfortable with a 2nd mortgage being in behind their first mortgage to a total value of 90% of the property. Though I wouldn’t advise financing 90% of the value of your home, at 75% you have lots of options that make sense. By dividing up your request you can secure lower rates on the first mortgage and avoid CMHC premiums. Work with a lender that specializes in working with business owners. There are several lenders that have some creative financing packages that look past the income on your tax returns and instead look at the cash flow of your business. If you are purchasing a property that has been on the market for a while, consider a vendor take back mortgage. With a vendor take back mortgage the seller lends you a portion of the purchase price as a mortgage. Financial institutions usually limit the total of all mortgages placed on the property to not exceed 90% of the purchase price. Arrange your own 2nd mortgage. It may sound odd, however what with GIC’s paying below 2%, if you have friends or other business owners who have idle money in their bank accounts they could form what is know as “mortgage syndicate” and become your banker! With this option it is important that everyone involved understand the risks associated with Real Estate financing. It’s best to have a mortgage advisor and lawyer involved in structuring the deal. We have done this with several clients and it’s actually straight forward to do. These changes are only directed towards residential Real Estate. Commercial Real Estate is not effected. So if you are considering investing in a apartment building or other commercial space you won’t be impacted by the new rules. As the financial landscape changes over the next few months it’s important to be working with a mortgage advisor who not only has access to different institutions, but also knows their lending guidelines inside out. Over the past few months our team has met with over 15 different lending institutions either in our conference room or through one on one discussions to get a clear understanding of how they make their lending decisions. 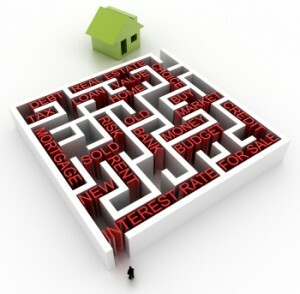 As always, we strive to make it simple to get the money you need to attain your Real Estate goals. Are you or your friends noticing a change in the how financial institutions are lending? Add a comment below I would love to hear your thoughts.